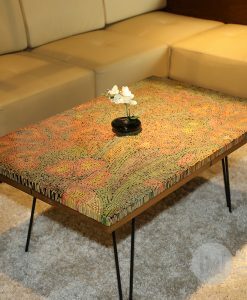 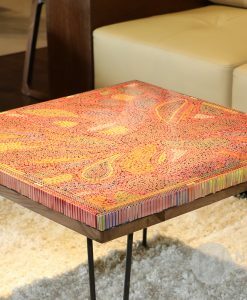 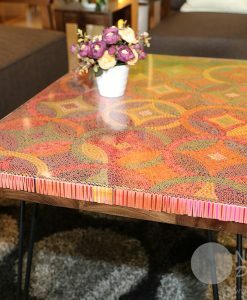 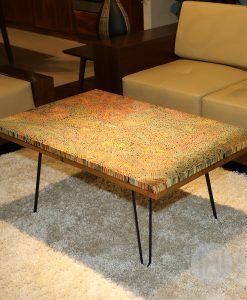 Wildflower Colored-Pencil Coffee Table is meticulously erected by 9,912 pieces of colored pencils and 4 steady hairpin legs, being one of the most unique artistic works in the selection of the luxurious coffee tables of Nguyen Moc Décor. 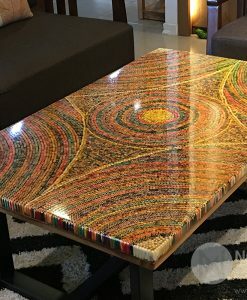 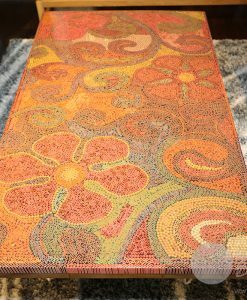 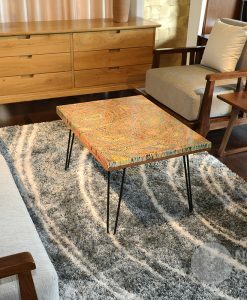 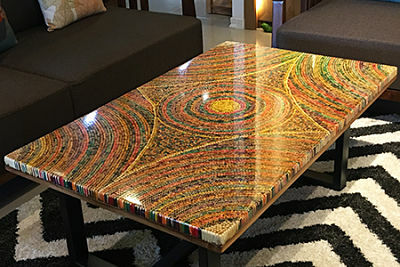 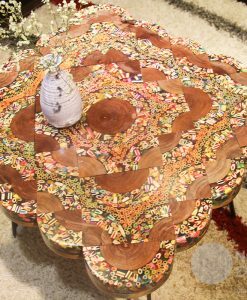 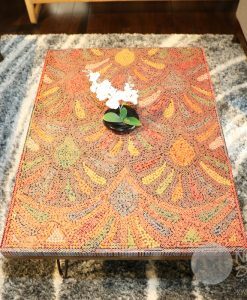 Made of 9912 pieces of colored pencils, Wildflower colored-pencil coffee table is an impressive masterpiece accomplished by the meticulous workmanship of the skillful handicraftsman. 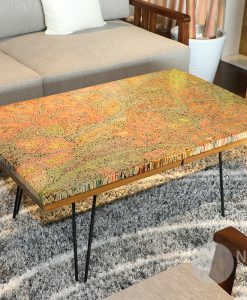 With the eye-catching key colors, the coffee table brings you the creativity and innovation for your working and daily life. 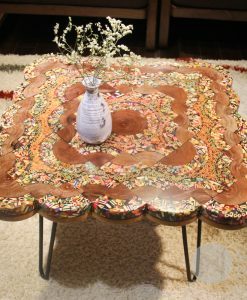 Moreover, thanks to the excellent skills of the craftsman, the wildflowers are pliant and lively like the real flowers which are strongly growing up in the wild. Wildflower colored-pencil coffee table is an ideal selection for the open space with some plants decorated around, which helps create the enjoyable and stress-free atmosphere for your beloved home. 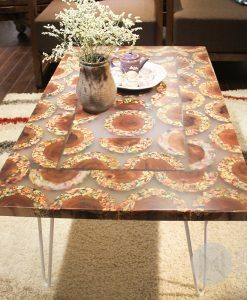 In addition, a black vase with white orchid will be a unique highlight for this artistic work. 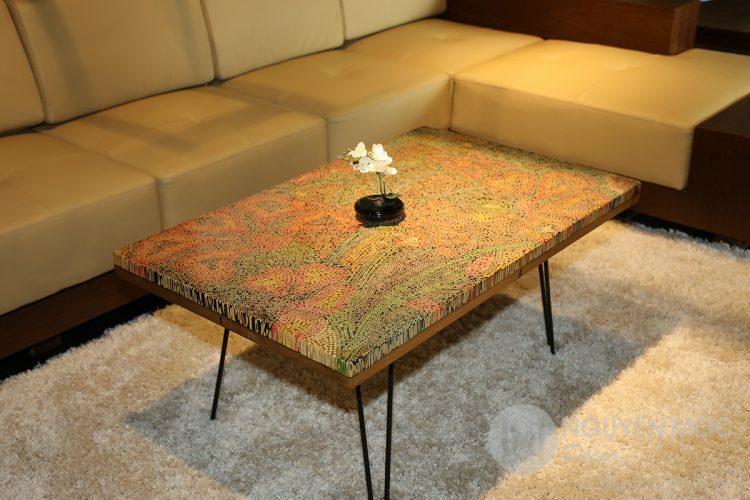 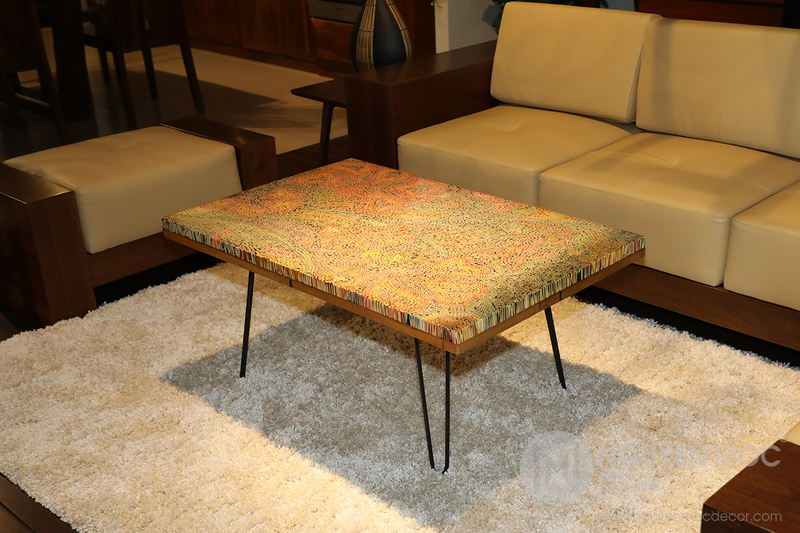 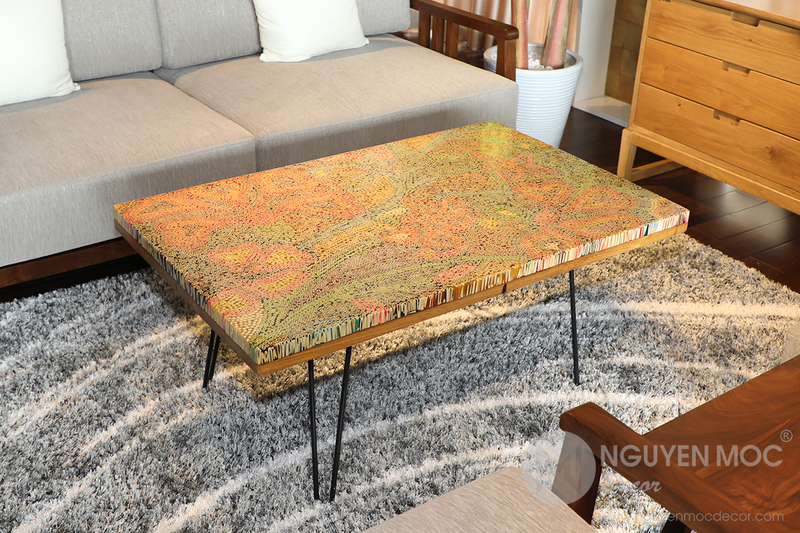 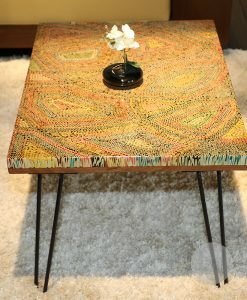 Now, do not hesitate to contact Nguyen Moc Décor if you are interested in Wildflower Colored-Pencil Coffee Table! 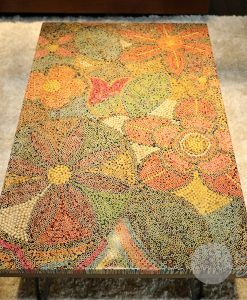 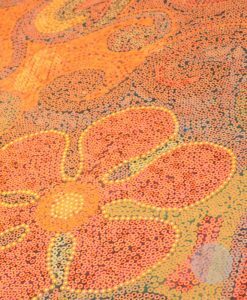 Wildflower Colored-Pencil Coffee Table brightens your warm living space. 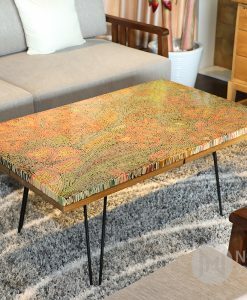 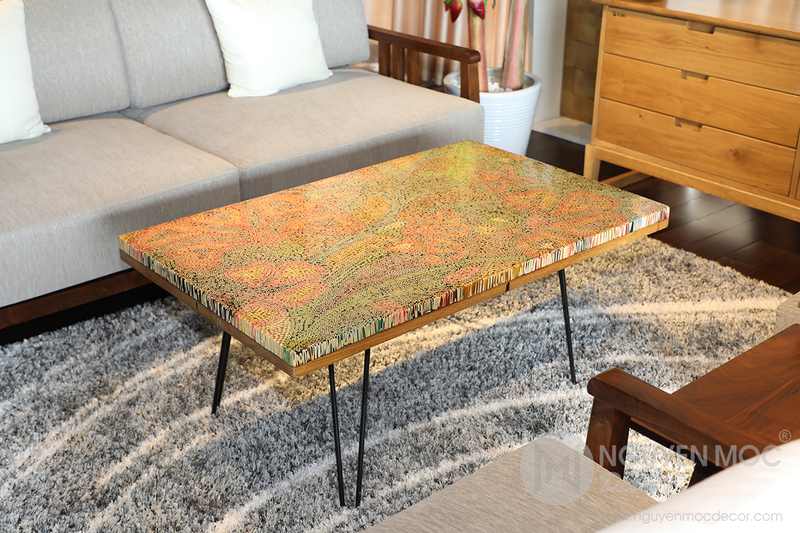 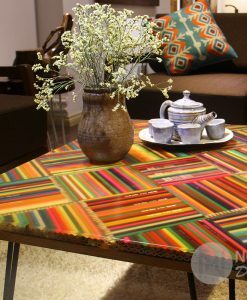 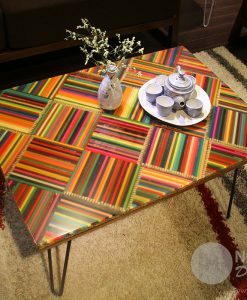 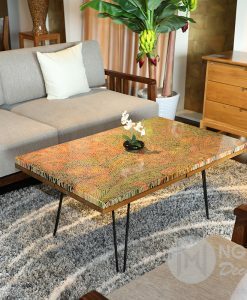 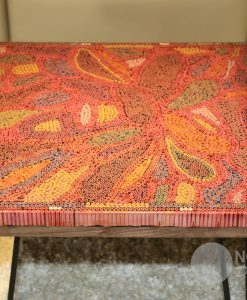 The surface of the Wildflower Colored-Pencil Coffee Table is beautifully flat and smooth thanks to the skillful techniques of Nguyen Moc Décor’s handicraftsmen. 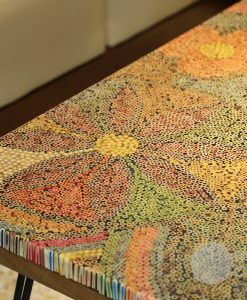 The hairpin legs are carefully chosen to balance the thickness, the width and the depth of Wildflower Colored-Pencil Coffee Table. 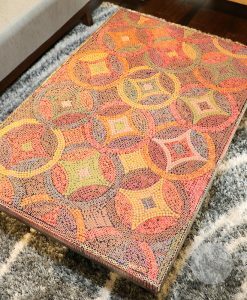 Wildflower Colored-Pencil Coffee Table is not only matched with wooden furniture but also the excellent choice for the sofa. 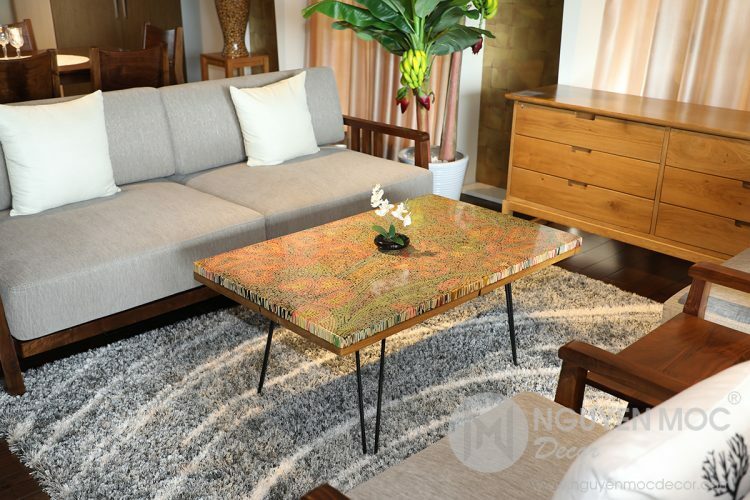 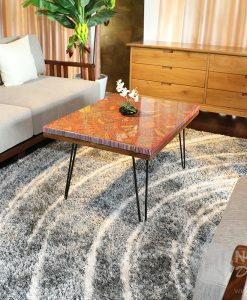 Based on the innovative ideas of Nguyen Moc Décor’s Director, each luxurious art coffee table is elaborately handmade by the Nguyen Moc’s experienced design creatives and skillful artisans. 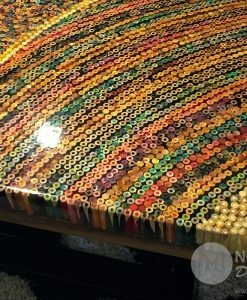 Thousands of colored pencils are meticulously glued by resin epoxy which helps create an artistic masterpiece being durable but still keeping the gracefulness of decorative patterns. 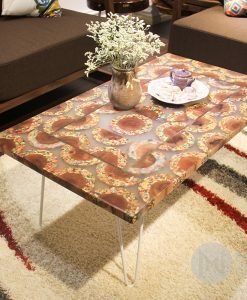 Also, these hairpin legs are suitable for all space and can prevent metal rust.